Hope you weren't expecting a recipe!!! 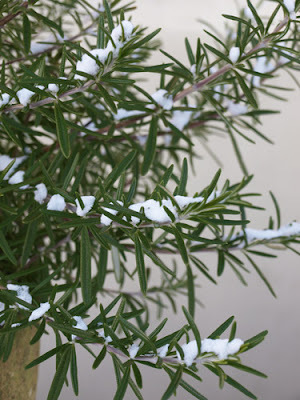 Just thought I show you my Rosemary plant with a dusting of snow on it. That's so funny, I did click on it expecting a recipe! Hmmm, is gullible still in the dictionary?! Also wanted to thank you so much for starting 'I've Blogged' - such a brilliant idea.